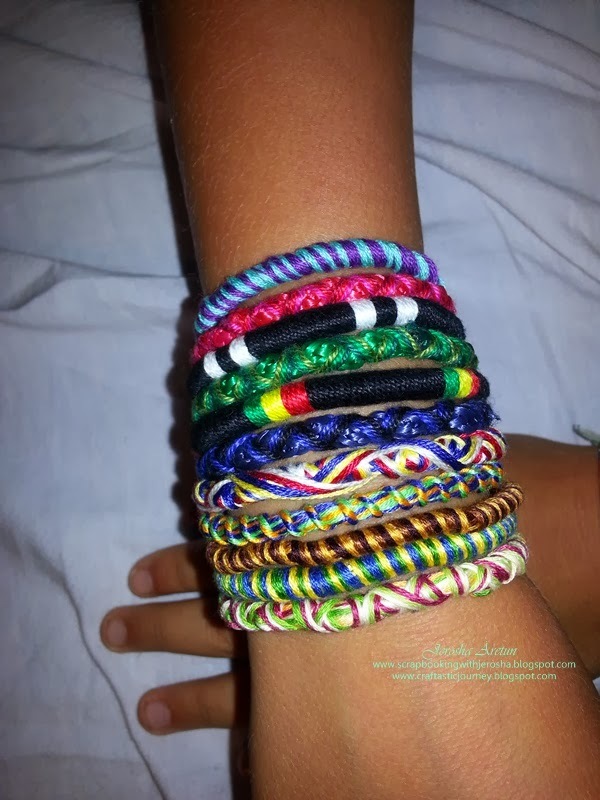 "Design your own friendship bracelets then make them in minutes with the Loopdedoo™ spinning loom. It's fast, easy and fun. Just wrap your threads around the Loopdedoo device, turn the knob, guide the thread and minutes later you’re done! You can even make necklaces, anklets, belts and more. There's no pattern to follow so each accessory is completely different and unique, just like you and your friends. You can use as many threads and color combinations as you like and you can make them thick, thin or anywhere in between. The design possibilities are endless, so let your creativity be your guide." What it says is true! In minutes one will be able to make bracelets =) Oh yeah, I did made a lot in one sitting less than an hour for my son and his close friends plus my step-daughter, too. Do You Have These FRUITS In Your Life?